DEB ROBERTSON WRITES....: Friday thoughts about contentment. 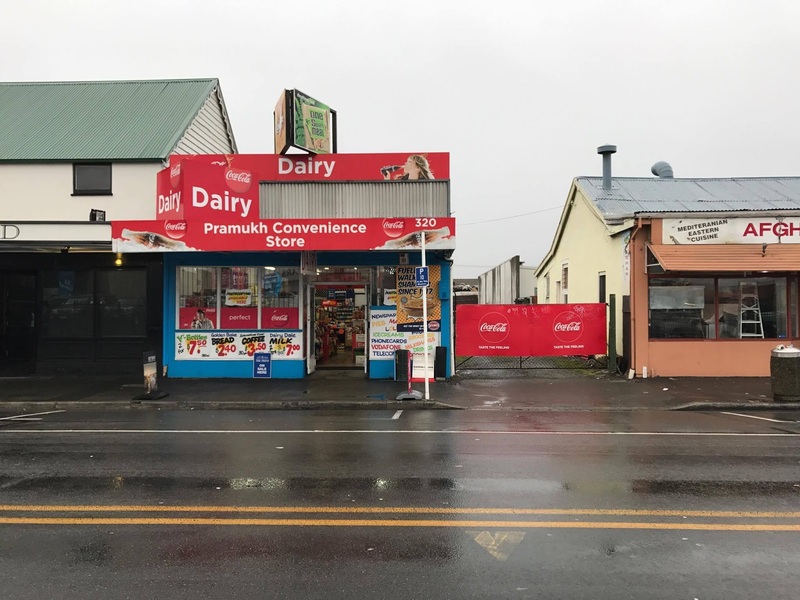 I stopped at the local dairy on the way to work this morning to get milk for the folks in the office who drink milk in their tea (not me). I love this little dairy, just down the road from work. To me it looks exactly like a dairy should. All red, white and blue with lots of signs stuck all about it's little self. The boy inside, always talks about the weather and always tells you to have a good day. I really like working in Addington. I like being near this little dairy, also my favourite opshop is just down the road and there is some interesting buildings around. I like being near the trains and I like being near lots of places to buy good coffee. I was thinking as I walked across the road in the freezing cold that I am one of those people who don't like change. I love my house and my family and my job. I love my pets and I love my friends. If i could, I would hardly change a thing. I thought, for a person who doesn't really like changing things much, I have changed a whole lot of things in the last few years. It's amazing what you can do, if you just take little steps and keep moving in the right direction. All of that I thought as I waited for the traffic and crossed the road in the freezing freezing cold. I am grateful for my life and where I am at. Sometimes it is hard, sometimes I am sad, I'm pretty much always poor. But I'm content. And thankful. I like your little dairy store too! We are sweltering in New York while you are freezing in your part of the world! It's so curious to me. Being content is under rated. If you have enough and you are happy, then I think this is a real true blessing. I've never had excess money, but I have managed to find contentment. Being a 'Maker' does make a difference. That, and a faith that encircles me. I always hope for the best for us. Contentment is a great blessing!